President Donald Trump leveled another attack against Amazon on Twitter Saturday, criticizing the online behemoth’s business deal with the U.S. Postal Service and demanding that the company pay more taxes. 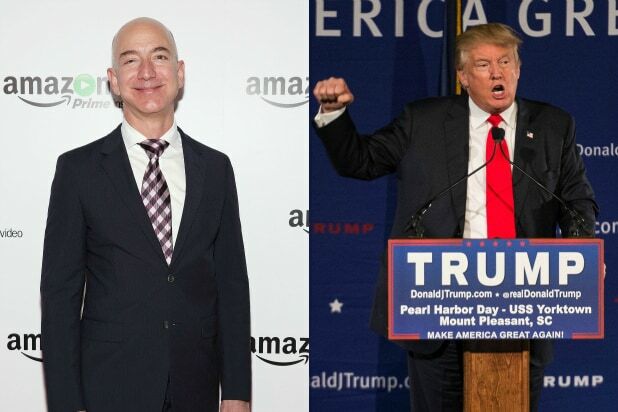 Trump also included a swipe at The Washington Post, which is owned by Amazon CEO Jeff Bezos. Without citing evidence, Trump labeled the Post a “lobbyist,” which the Post said was false in their report on the tweets. There is some truth to Trump’s criticism that the company pays “little or no taxes to state and local governments.” In their attempt to sway Amazon to set up their second headquarters in their area, cities and states are including hundreds of millions of dollars in tax breaks in their offers to Bezos’ company. Among those offering tax breaks are Buffalo and Rochester, New York, and the Maryland state government. Two weeks ago, the Boston Planning & Development Agency approved up to $10 million in local tax breaks as part of a deal with Amazon to expand its operations in the city’s Seaport. Amazon also has only started collecting sales tax in all 50 states in April of last year, and paid zero federal taxes in 2017. But Trump’s claim that Amazon’s deal is damaging USPS isn’t true. While the Postal Service has lost money for the past 11 years, it is due to pension and healthcare costs created by a 2006 law requiring the Service to pre-fund 75 years worth of retiree benefits, according to CBS News. Meanwhile, shipping rates have been increasing for USPS, with $19 billion in revenue from packages shipped reported for 2017. Amazon uses FedEx, UPS and its own set of carries for much of its shipping, but relies on USPS for the final stage of delivery to the customer’s doorstep.